Here at Clear Choice Photo Booth we love attending all different types of events! From birthday parties in San Diego to graduation parties in Cleveland and mitzvahs in Seattle to weddings in Detroit. We have a blast at all of them. We love them so much we came up with this list of our most popular types of events and how hiring us can enhance your own event! 1. 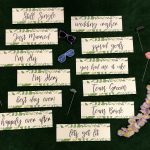 Weddings celebrate two people starting a new life together. Weddings are one of the most popular types of events that Clear Choice Photo Booth attends. It is a great way to create (and remember!) such a special day. We have different packages based on the needs of the bride and groom. 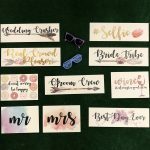 They include a custom photo strip to match the bridal colors. 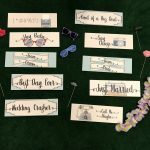 They also include a personalized scrapbook that guests can write in next to their photos, and prints for everyone in the booth so that everyone can remember the big day. Photo booth rentals at bat & bar mitzvahs have become increasingly more popular. Not only is it a fun experience for the kids, but it brings together families and their children as well. We can provide props, which adds to the fun of each session and encourages everyone to let their personality shine. 3. Birthday parties are for any age! 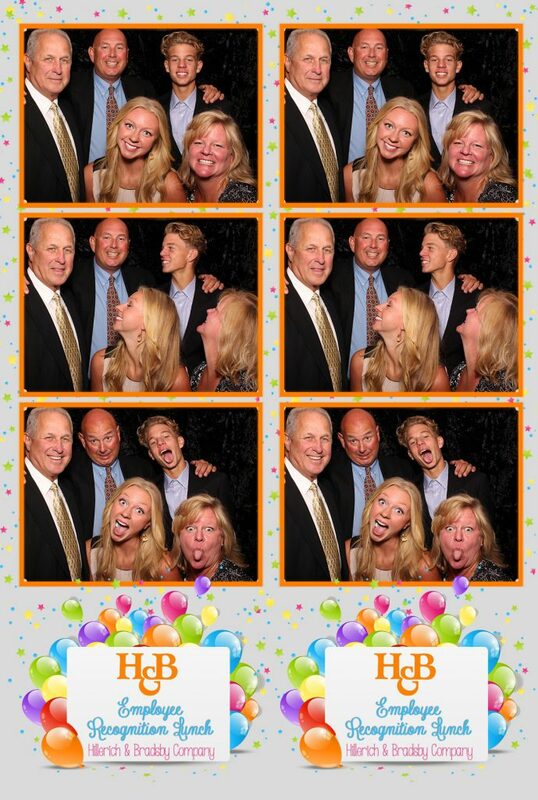 What better way to celebrate a birthday than to feature a photo booth rental from Clear Choice Photo Booth? We love birthdays for kids of any age, from 5 to 18 to 82! A photo booth rental allows the birthday girl or boy to be in as many photos as they want. Their friends and family can also hop in some photos. This creates fun for everyone. There is always fun to be had at holiday parties. There is always good food, tons of cookies, and a holiday spirit filling the room. Adding a Clear Choice Photo Booth rental just adds to the fun and allows for memories to be made. Holiday-themed props create a joyful experience and are always fun to use. Christmas parties are the most popular for us, but we love celebrating any holiday: New Years, Valentine’s Day, Halloween, we encourage a celebration for all! 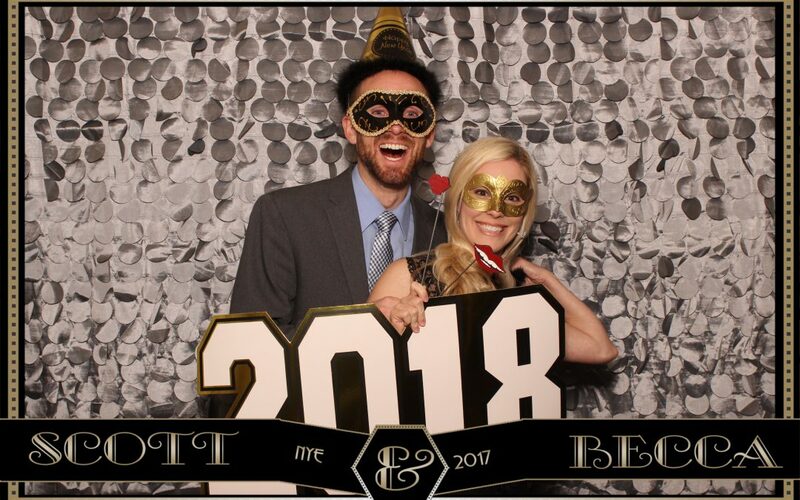 A photo booth rental from Clear Choice Photo Booth at your corporate or company party is a great way to create a fun and energetic energy. We help to provide an atmosphere to allow all attendees to let loose and get to know their coworkers in a new light. This makes everyone happy to be a part of a wonderful organization. 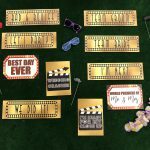 We also provide custom photo strips for every event. We encourage companies to feature their logo so that everyone takes home a part of your company. 6. You could always use some extra photos at your high school reunion. High school reunions are always fun to see friends and classmates that you may not have seen for years. 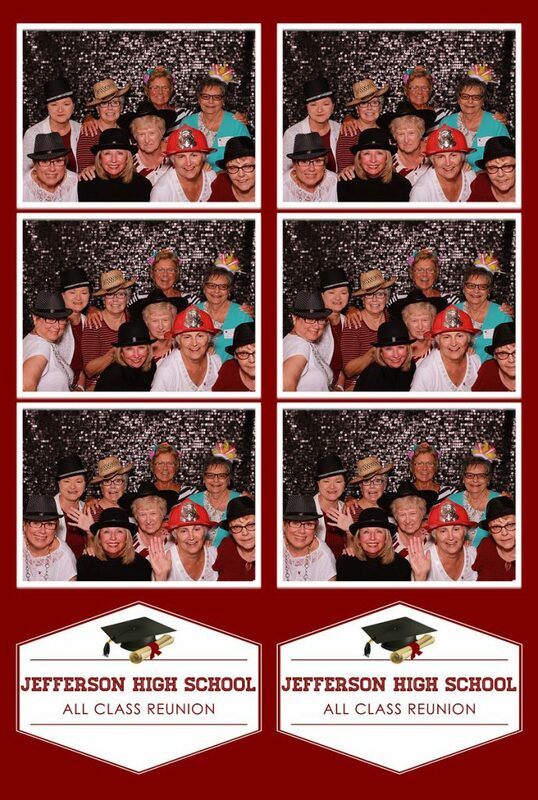 There’s no better way to reminisce and reconnect than to include a photo booth rental at a reunion. Adding props to the package helps to recreate the laughter and fun that once existed. Bringing back memories of past school days. 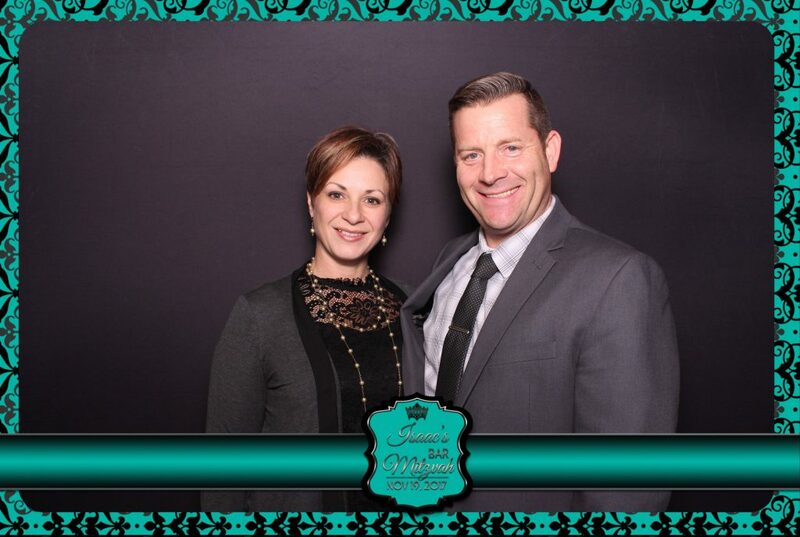 Whether it has been ten years or fifty years, including Clear Choice Photo Booth at the event is the way to go. 7. Showers bring together family and friends. 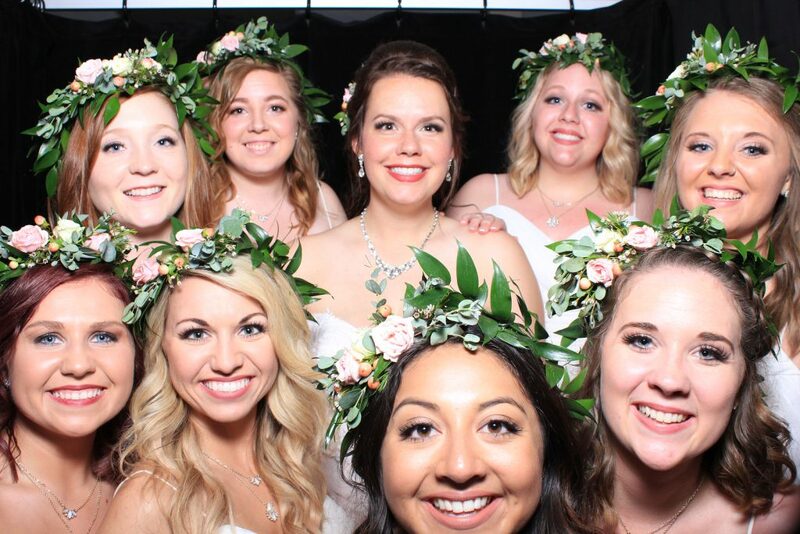 It is a new trend to include a photo booth rental at showers, such as bridal and baby showers. All of the guests always seem to have a blast at these events. It is a great way to commemorate a big milestone in one’s life. 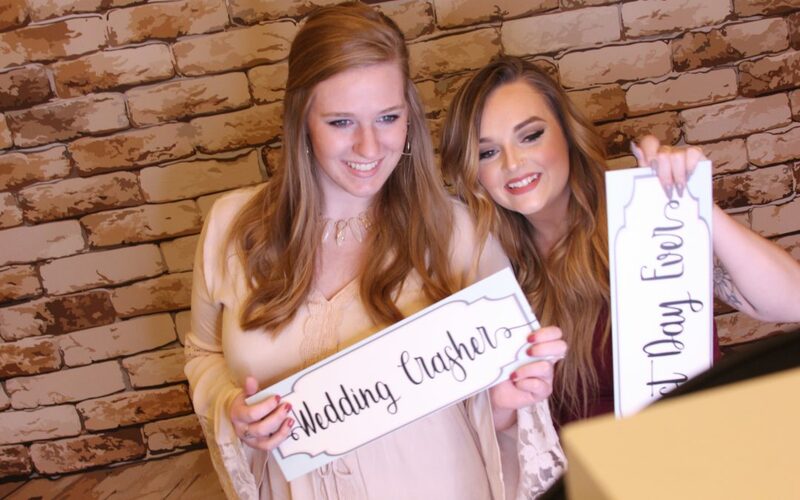 Clear Choice Photo Booth has many a la carte items that can be added to any package, including a scrapbook where guests can write encouraging notes to the bride or mom-to-be. 8. School dances are an exciting time for soon-to-be adults. 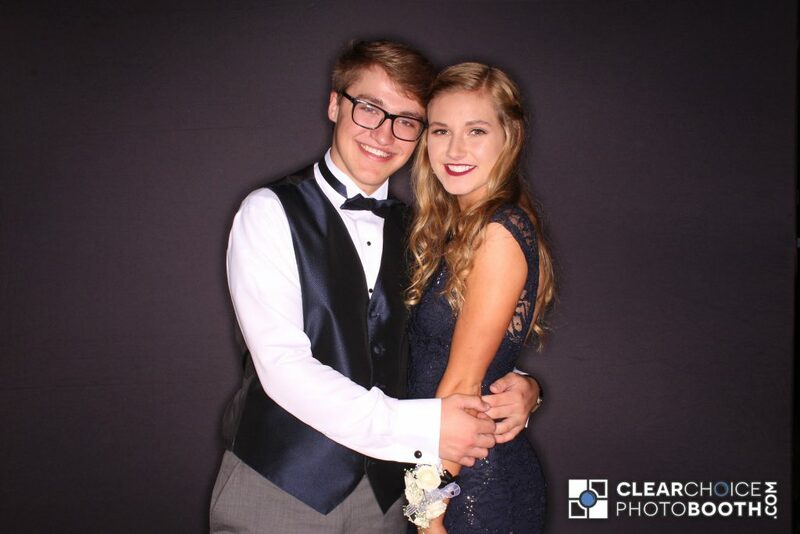 There are many benefits of having a photo booth rental to any school dance, including prom, homecoming, and formals. It allows the students to take a break from dancing and enjoy the company of their friends, while creating unforgettable memories. The students love having Clear Choice Photo Booth at their school dance as it allows them to show of their formal attire in a fun setting. 9. Luncheons gather old friends and new friends for a common cause. get to know each other, and create an enjoyable experience that will reflect on the organization. Adding props to your package enhances the experience of community and times to remember. 10. Anniversaries are worth celebrating! We believe an anniversary is just as big of a deal as a wedding (it means the wedding and marriage were a success, right?) so including Clear Choice Photo Booth at your event makes sense. A photo booth rental is a great way to bring families together, adding fun and laughter to every session. It is perfect for those of all ages and will keep everyone entertained throughout the night. 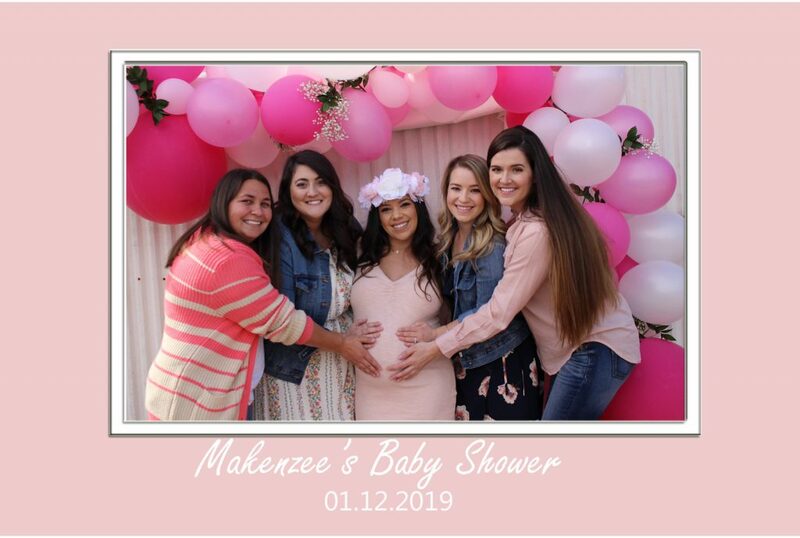 If you are interested in hiring Clear Choice Photo Booth for one of your events, feel free to contact us if you have any questions or would like to make a reservation. For more information and updates you can find us on Instagram or like us on Facebook. What’s happening in Cleveland, lately? Sooooo you know what takes up the majority of your photo and barely gets any love? Your backdrop! 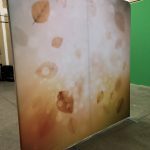 Everyone loves props and a good pose, but you can’t forget to consider backdrops in the overall look of not only your photos, but how it will look in your event space. For example, if you’re hosting a garden party wouldn’t a solid black backdrop look out of place? 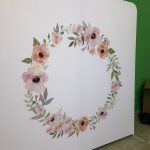 How about a lovely watercolor floral wreath instead? 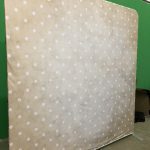 Six new pretty backdrops available now from our Cleveland office! These are just quick iPhone snaps as soon as we received them, so you’ll have to stay tuned for snazzier pictures of them in action, but we were so excited we had to share them with you ASAP. Can you imagine the pretty themes and spaces you can bring these into?! Exciting day in our Cleveland market! 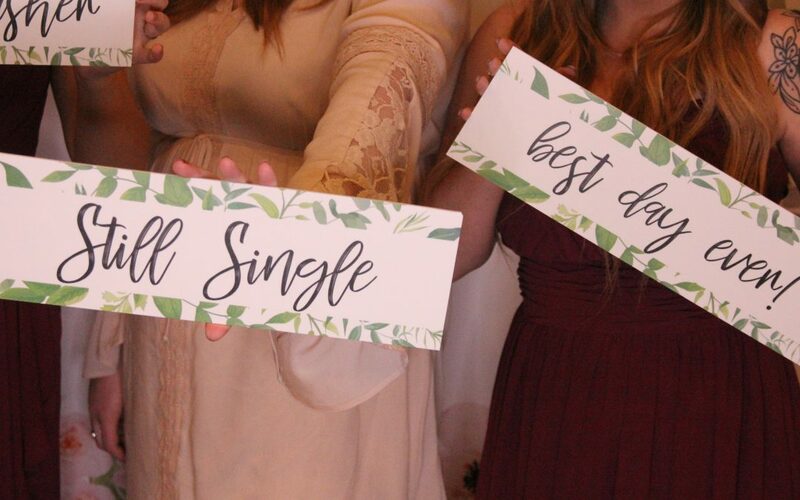 Just added to our inventory are these adorable prop signs! Completely exclusive to Clear Choice Photo Booth, and you cannot get these cuties anywhere else. 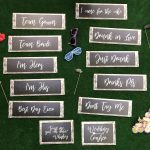 The new themed prop signs have a more of a cohesive look than a traditional prop sign, and are meant to fit the overall aesthetic of your wedding better. Rustic, vintage, classic, bohemian, floral, retro, watercolor, or Hollywood themed events? Don’t mind if we do fit right in! Sneak a peek at the brand new prop signs below! 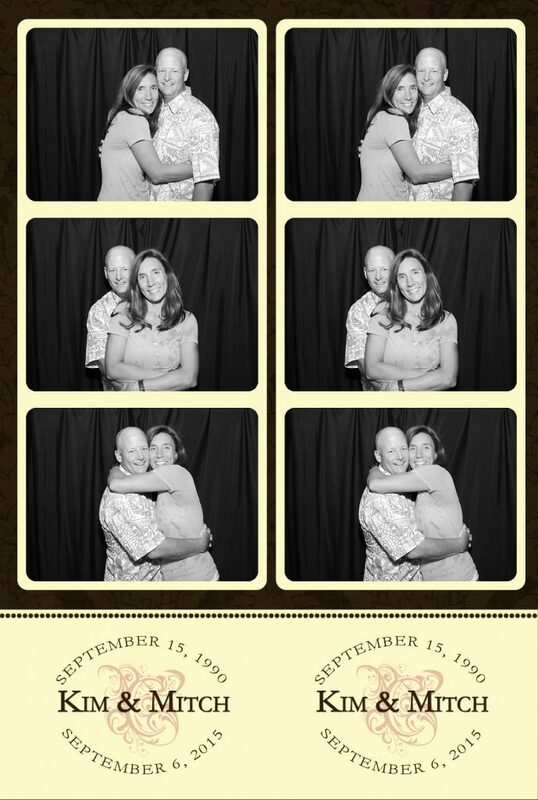 Check out other ways you can customize your photo booth experience! From weddings to mitzvahs to proms and more, a photo booth rental is the perfect addition to any event. 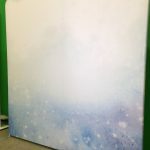 Clear Choice Photo Booth will provide everything you need to make your event stand out from the rest. With thousands of events under our belt, our event staff is here to make sure your special day is pixel perfect. It is our policy to arrive early and have ample time to setup. We bring all of own equipment, so the only thing weʼll need is a dedicated power outlet and an 8′ x 8′ area for our photo booths. Big Things in Store, Stay Tuned! If you have an event planned for 2018, keep an eye on this blog! Here we will post not only the latest news for CCPB (we’re looking at you, new designs, new packages AND new technology), but guests will join us periodically as well to help you plan the other aspects of your event in 2018! New social packages that meet your party needs. Themed props that fit your style! A 360 degree gif? Heck yes! So excited for the year ahead, and we hope you’re excited too! Learn more about our Photo Booth here. Clear Choice Photo Booth helps brands and agencies provide a fun consumer engagement through custom Photo Activations and GIF Booths. Our Event Professionals can help with Photo Marketing at Trade shows & Multi-City Events. We provide leases for your activations, and our kiosk allows unlimited growth with Social Sharing. 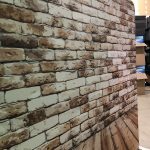 From a small photo-op to a full blown Mosaic system our white or black kiosks can be fully customized to your brand. 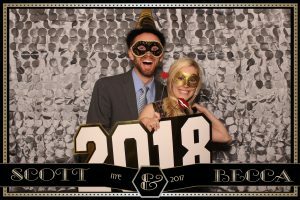 A Clear Choice Photo Booth professional attendant will always be on site to walk your guests through the process and encourage fun and interaction. 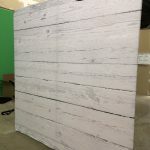 We provide a fun props package as well, which can include custom signs designed for your company. 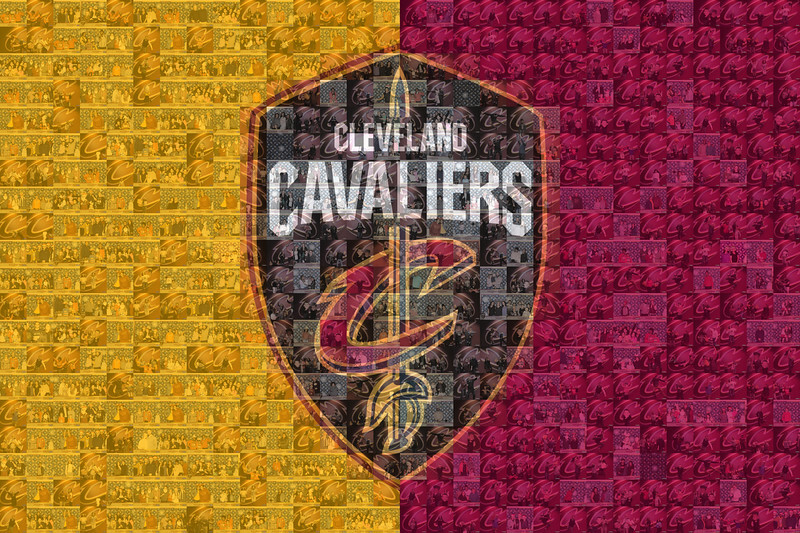 We are an award winning photo booth rental company and have worked with Lexus, the Cleveland Cavaliers and much more. Being specialists in consumer engagement, Clear Choice Photo Booth will help you to grow your brand and extend your reach. Ask us how we can help you make your next event an experience. In honor of Valentine’s Day, we want to share with you our list of Clear Choice Photo Booth‘s top photo booth kisses. Because after hundreds of events and thousands of bodies visiting our photo booth, we found that people love to kiss! From Pittsburgh to Tampa to Salt Lake City and everywhere in between, we can guarantee that every photo booth rental we have been a part of has had at least a kiss or two! So here is our list of the top photo booth kisses! Do you have a an event coming up in and are looking for an excuse to see your family and friends sneak a kiss? A photo booth rental is a great way to add hassle free fun for both yourself and your guests. Check out our packages and feel free to contact us if you have any questions or to reserve your event. For more updates and information, you can find us on Google+ and like us on Facebook.